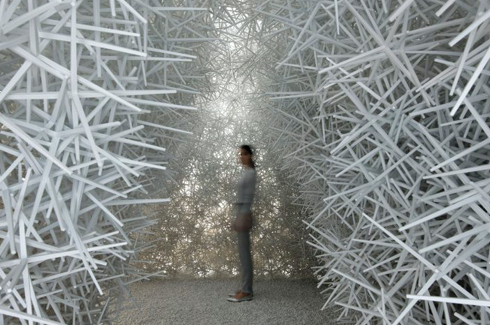 A structure that demonstrates how designed granular materials open up a new perspective for a design paradigm of productive forms. The Stuttgart University’s ICD Aggregate Pavilion 2018 presents the latest results of ten years of research into designed granular materials for architecture. It consists of the first ever enclosed architectural space which lies only in loose frictional contact. 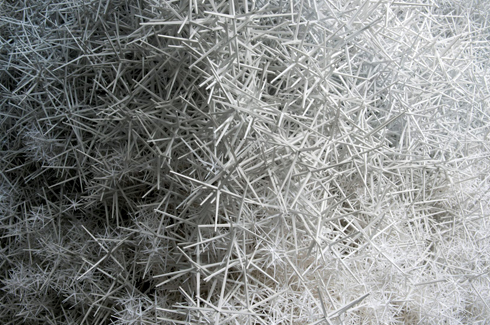 Made from over twelve thousand recycled plastic stars that create a self-supporting structure bonded only by friction, the ICD Aggregate Pavilion is a one-of-a-kind structure standing three meters tall and seven meters long. 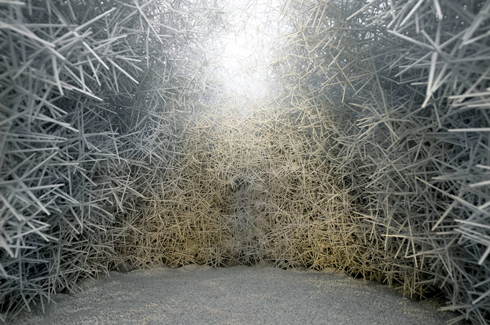 Building on the 2015 pavilion that was made of thirty thousand particles, the researchers and students have created an even larger and more complex structure with two interconnecting vaults forming a fully enclosed space inside. Demonstrating the inanimate nature and large masses of granular substance, their construction potential has been emulated to its fullest. Injection moulded recycled plastic was used to form the twelve thousand hexapods and dekapods which were then poured like concrete to rapidly interlock and form load bearing shapes. 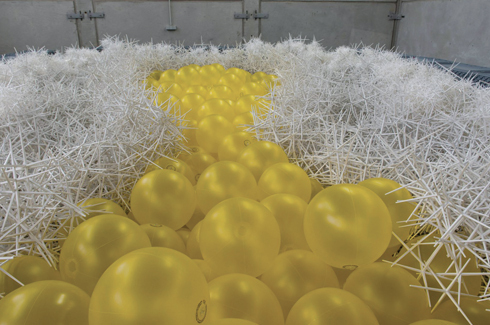 To construct the pavilion, 725 inflatable yellow spheres were used as formwork onto which the spiked particles were poured and after the form was created, the balloons were deflated and removed. The resulted rectilinear form has a cave-like interior with a triangular archway that can accommodate several visitors. With the white spines sticking out at angles, from a distance the pavilion appears to rest like a square but fluffy white cloud. The German University’s industrial storage space was converted into a storage space to construct this pavilion and was cast in situ. The boxes used to store the particles were emptied and stacked up to create the boundaries for the construction process. The robot is controlled by an interface that uses a parametric modelling environment and the design and construction process uses an image-segregation algorithm to check the structure’s geometric accuracy. 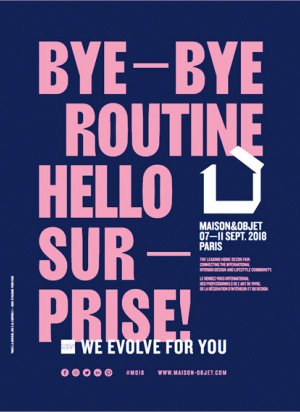 Because no external bonding materials or process is required, the pavilion can be dismantled and the pieces are used to create entirely different configurations. Previously, drones and robots were used to weave a carbon fibre pavilion in a method similar to the way that moth larvae weave silk webs. In 2016 robots were deployed to stitch together a laminated plywood pavilion structured like a sea urchin.